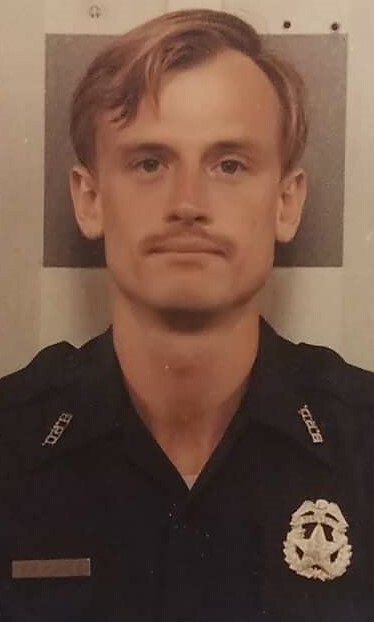 Officer Paul Douglas Hulsey, Jr. Officer Hulsey was shot and killed while investigating a Chevrolet Corvette with stolen plates. He had spotted the vehicle in a hotel parking lot and learned that it was stolen after running its tags. He requested backup after learning which room the suspect was in from the hotel manager. His backup officer was sent to another call involving a pedestrian fatality so Officer Hulsey approached the suspect as he came out of his room. A violent struggle ensued and the suspect was able to retrieve a gun from the room and fatally shoot Officer Hulsey. Officer Hulsey had no idea that the suspect was wanted in Florida for killing a 14-year-old girl and in Indiana for killing a 16-year-old girl and robbing a bank. The suspect was later apprehended and subsequently received death sentences in Florida, Indiana, and Texas for the murder of at least four other victims. He was executed on December 9, 1997. Officer Hulsey had been with the agency for eight years. He was survived by his wife, two daughters, his mother, his father (a former Galveston Police Chief), and other family members. Rest in peace Officer Hulsey.